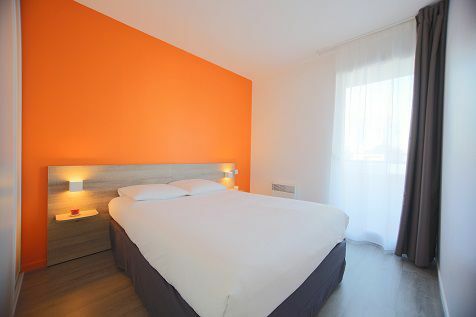 Located in Toulouse, opposite the racecourse and close to Zenith de Toulouse, the residence Zenitude Lardenne The Domain offers 211 apartments, from studios to family apartments, fully furnished. 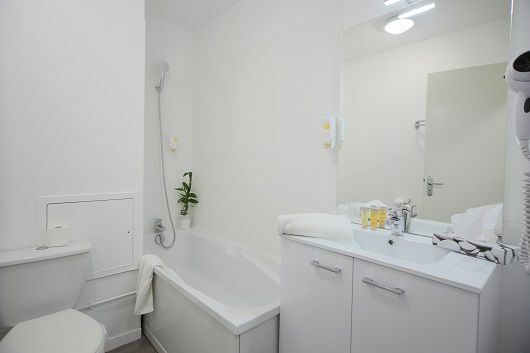 Simply decorated, the studios and apartments include a flat-screen satellite TV, fully equipped kitchenette and a living area with an internet connection. A continental buffet breakfast is served each morning and guests have a reception as well as laundry facilities accessible 24h / 24h. The property comprises 1 outdoor fenced parking and an outdoor pool is open and available daily in summer from 8 am to 20h. 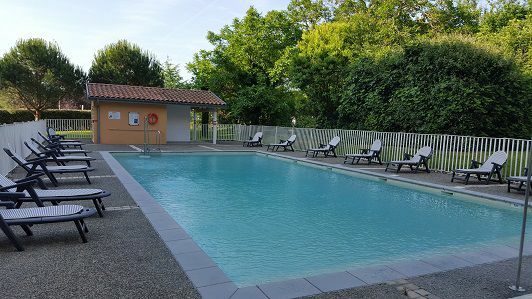 The Zenitude Lardenne The Domaine is an 8-minute drive from Toulouse-Blagnac airport directly accessible by tram and metro station Arenas, 15 minutes, you will reach the 4 corners of the city of Toulouse by tram, bus and metro. 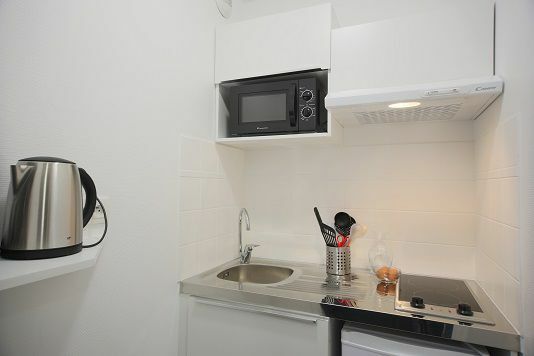 Studio: our studios with an area of ​​18 sqm consists of an entrance serving the bathroom with tub and toilet integrated, fully equipped kitchenette (ceramic hob with two burners, microwave oven, cooker hood and sink ) and a furnished room with a desk, flat screen TV, wardrobe, dining area and a pullout sofa.